The Game Bakers, the studio behind twin stick shooter Furi, has announced its latest title, Haven. This adventure RPG is scheduled to launch on an unspecified date in 2020 for consoles and PC. In Haven, players will experience a tale about “everyday love,” rebellion, and food. Such a wild ride will be had with two lovers as protagonists, allowing players to either venture into the world solo or with a co-op partner. The duo has escaped to a “lost planet,” where their sole concern is in staying with one another. It sounds heartwarming, and, based on the teaser trailer below, the game is gorgeous. To get an even better look at what the Furi developer has in store for Haven, check out a few screenshots in the gallery below, which are featured on The Game Bakers’ official website. Interestingly, a couple of the screenshots display a brief look at some of Haven’s RPG mechanics. This is The Game Bakers’ first game since Furi released in 2016. The title launched to reasonably favorable reviews, most of which celebrated its action-packed gameplay, boss fights, and musical score. It’s no wonder, then, that Danger, the French musician who contributed to Furi’s acclaimed original soundtrack, is set to return for Haven. Hopefully, more information about Haven will begin to surface soon, such as which consoles the title will release on. 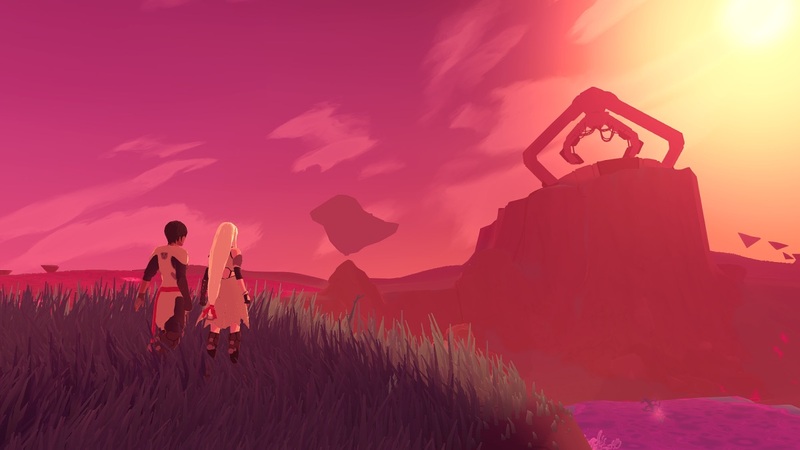 At present, this detail has not been made clear by The Game Bakers, though Furi has PlayStation 4, Nintendo Switch, and Xbox One versions available.